Join us on this trip to Copper Canyon (Barrancas del Cobre in Spanish) and experience some of the most spectacular scenery in all of Mexico. Located in the Northwest region of Mexico in the state of Chihuahua, Copper Canyon is a series of 20 canyons, formed over the years by six rivers. It is seven times the size of Arizona’s Grand Canyon and includes more variety of topography. 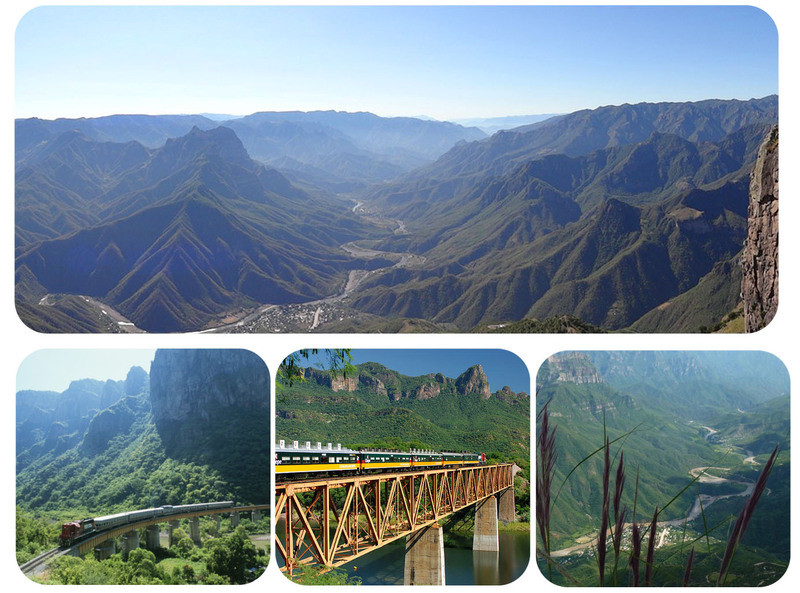 We will wind our way through the through the Sierra Madre mountains and the Copper Canyon on the Chihuahua al Pacífico (Ferrocoarril Chihuahua al Pacifico in Spanish). “El Chepe” for short, is the only passenger train in Mexico. Described as the most dramatic train ride in the Western Hemisphere, this 400 mile train ride traverses 37 bridges and 86 tunnels en route between Chihuahua City, Chihuahua and Los Mochis. The scenery will steal the show as you travel up, down and around some of the most beautiful landscapes in the world. Rocky peaks and cliffs, rivers, waterfalls, tropical vegetation and high desert all pass by your window as the train travels from 8,000 feet to sea level. The train also features air conditioned cars and a dining car with bar. Stop along the way to stay in luxurious 5-star hotels, including: Posada del Hidalgo (believed to have been the original site of “el Zorro’s” house), Hotel Misión, and Hotel Marador. Hotel Marador is perched literally on the canyon rim and every single one of its 48 rooms has a balcony facing the Urique Canyon–the deepest in the Copper Canyon system. Enjoy walking, hiking and/or bus tours along the way.